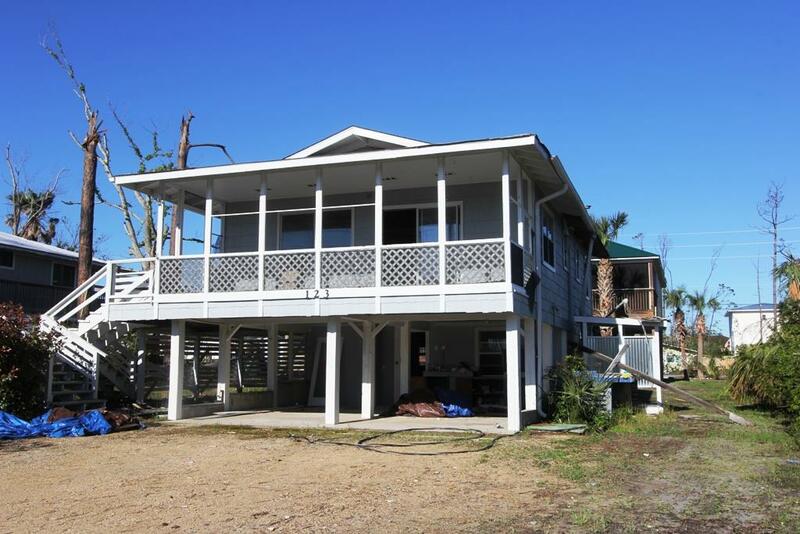 Fixer upper close to the beach at a great price in Mexico Beach. This home suffered significant wind damage, but did not flood. The owner has had the substantial damage ruling overturned and you can remodel this home without bringing every item to 2019 codes. He has a building permit in hand, but has not found the time to start this project. This 2 level home had 2 BR's and the main house upstairs and a nice mother in law suite downstairs with 2 bedrooms. Check out the pre-Michael virtual tour to see all of the potential in this home. Home is in X flood zone.